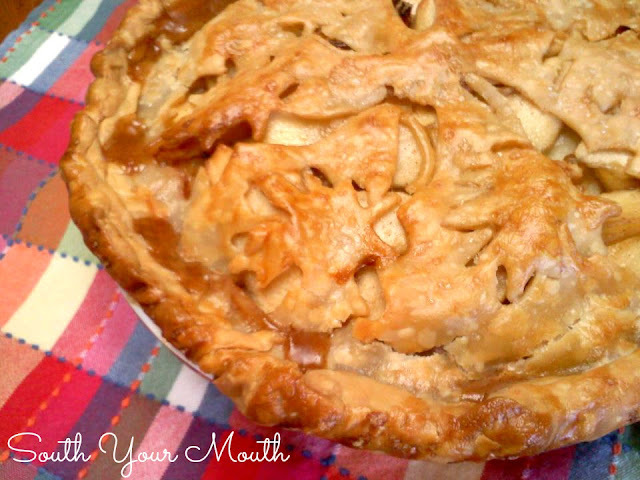 Classic apple pie recipe made with apple cider. Mama's quite the cook. In our family and among her friends, I’m pretty sure everyone would agree that she’s the go-to person for good cooking. She’s known for her apple pie like Minnie’s known for her chocolate one (not the Terrible Awful, of course). When it’s someone’s birthday, they ask her for this pie instead of a cake. I was going through some of the pictures on my phone and found that I’d taken a picture of it once upon a time so I thought (since I totally failed everyone by NOT taking pictures of the three recipes I was going to share with you from our Easter dinner this Sunday), I would share this with you! Combine apple cider and sugar in a large saucepan and bring to a boil. Reduce heat to medium-high, add apples and cook uncovered until apples are tender (about 8 minutes), stirring throughout cooking process. Drain syrup from apples into a 2-cup measuring pitcher. Add enough apple cider to syrup to measure 1 1/3 cups liquid. Return syrup and apples to saucepan. In a small bowl combine corn starch and water and stir well. Add cornstarch mixture and cinnamon to apples and cook over medium-high heat until thickened, stirring constantly. Stir in butter. Spoon mixture into a pastry lined deep dish pie plate. Cover with top crust and seal edges. Cut 4-6 small slices into top crust to vent. Or get snazzy like Mama and cut out decorative shapes. Brush crust with egg whites and bake at 375 degrees for 45-50 minutes or until crust is golden brown. wouldn't cooking the apples 1st lead them to be soggy and mushy since you also bake themin the pie?